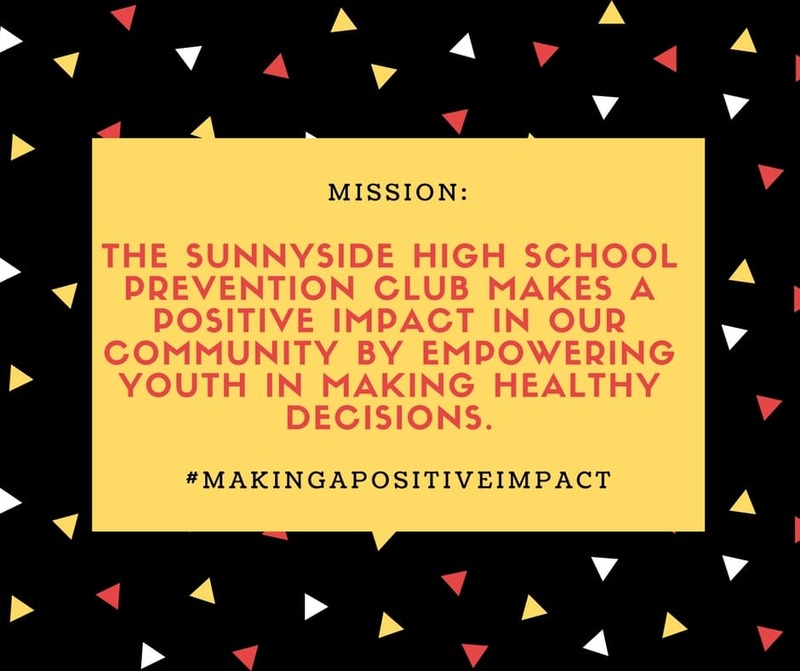 The Sunnyside High School Prevention Club unites together almost every Wednesday after school in Portable 1 to make a positive impact in our community. By providing information, resources, and opportunities, we empower youth in making healthy decisions. 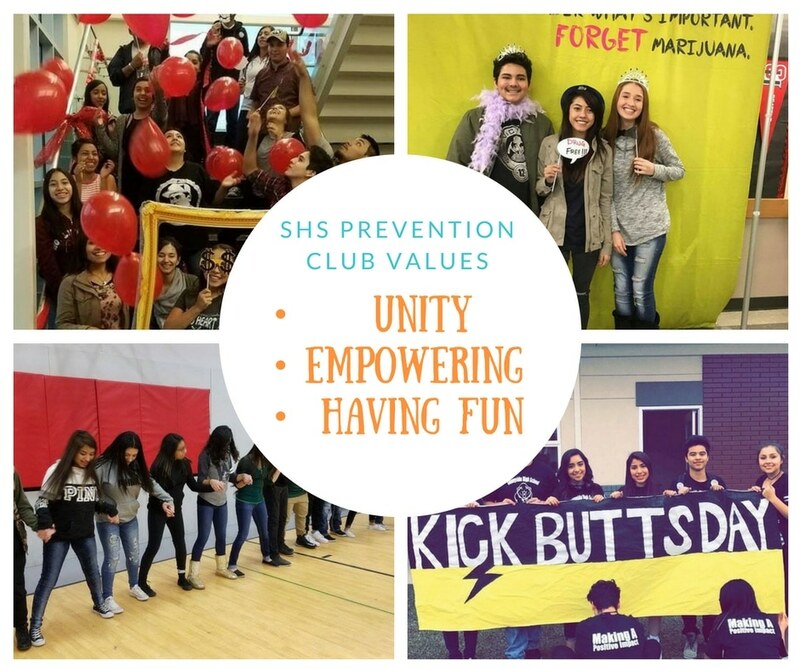 Through events and activities, the club promotes awareness about the power of positivity and educates about the dangers of drugs, alcohol, tobacco, and other destructive decisions. 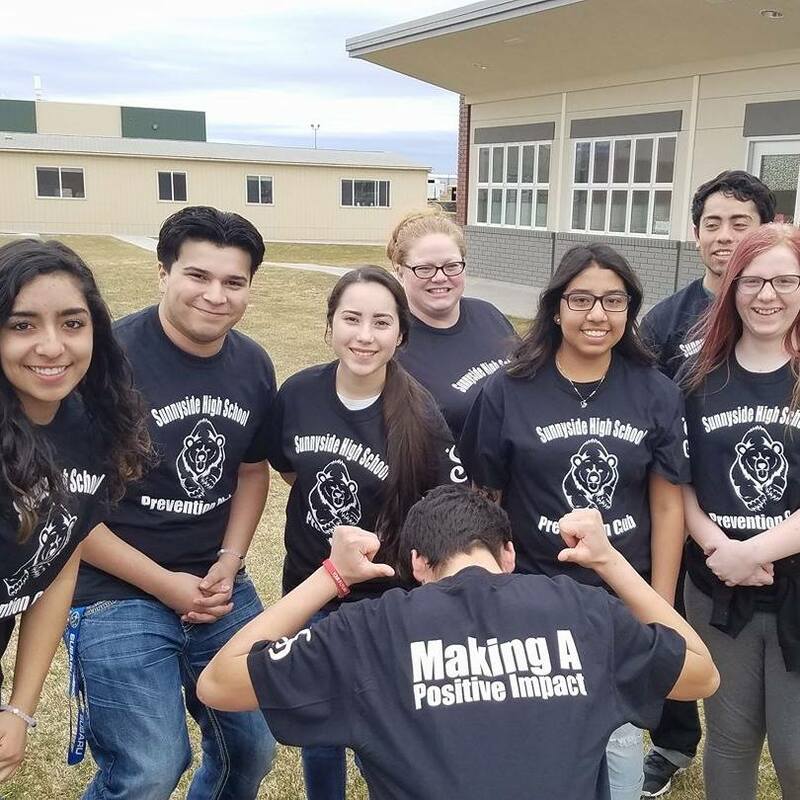 Thank you to the Soroptomist group for donating our club T-Shirts! For more information on this group, go here!